Can Firefox OS open the HTML5 door? Mozilla has announced that its fledging mobile platform will break cover tomorrow as the firm begins the rollout of its HTML5-based Firefox OS. Sales of the Firefox OS powered smartphones will kick off in Spain with the ZTE Open available on the Telefonica-owned Movistar network for €69 (around £60) on PAYG. Telefonica has been joined by Deutsche Telekom in the initial Firefox OS launch and the latter carrier has promised it will be launching devices in Poland very soon, although an exact date is currently unknown. 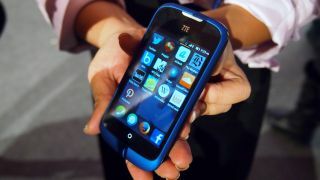 The ZTE Open is joined at launch by the Alcatel One Touch Fire, with both handsets offering low-end specs along with core apps such as Twitter, Facebook and HERE Maps. Aimed predominantly at the emerging markets, Firefox OS looks to offer a low-cost smartphone experience which harnesses the power of HTML5 and while it may gain traction in developing nations it may find it a little trickier to break markets such as the US and UK. Firefox OS enabled smartphones are expected to land in more Central and Eastern Europe countries later this year - although we're still waiting to hear which ones will be included, with no word on the UK just yet.